What’s the difference, and why you should be more concerned with the latter. We spend 40, 50, 60 hours per week at work. Many of us are tethered to a desk with an immobile computer or trapped in meeting after meeting in walled-off conference rooms. We toil away beneath fluorescent lights while fighting the appeal of sugar and salt-laden snacks that give “come and eat me eyes” from behind the vending machine glass. And we experience the unique kind of stress that only demanding markets, and even more demanding deadlines, can bring. And then at the end of the day, we’re supposed to jump in our car, drive to the gym for an hour-long workout, and munch on kale for dinner. There’s a huge, unsustainable disconnect happening, one workplaces have the power to rectify — if done right. Most companies have work-life balance top of mind, yet there’s a startling scarcity of focus on workplace well-being, which goes beyond having time for a life outside of work and instead integrates well-being principles directly into the workplace environment. I argue that work-life balance efforts are irrelevant without a focus on well-being. Think about it: How can you feel balanced juggling two disparate functions where one is thwarting your ability to holistically feel well? It’s tough. Work-life balance efforts are irrelevant without a focus on well-being. So why the continued half-hearted focus on workplace well-being? Beyond not caring about it (to speak bluntly), many organizations don’t know how to do it. They often lack the person, or people, who can champion these programs internally, and that’s the key to inspiring a focus of workplace well-being in your organization: You start a grassroots movement, leading by example first and then by asking others to join you. I learned that the hard way in my early twenties, when the fever to change the world hit me suddenly. I was a commission-only sales rep for a local radio affiliate of a national media powerhouse that had just launched a sustainability initiative. 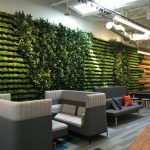 As a self-proclaimed steward of the environment, I took it upon myself to whip our office into shape by asserting my opinion on ideal programs and processes to anyone who was within earshot. I even went so far as to send a company-wide email to every single one of the thousands of employees that laid out all of the sustainable efforts they should take at home. The responses were mixed, to say the least, and left me wondering why everyone was seemingly thrilled to sit there and do nothing while our planet was in peril. And then it dawned on me. What if I stopped telling them what they should do, and starting showing them what I do? What I learned was that in order to be someone who influences meaningful outcomes in others, you have to be someone who walks a walk that others want to emulate. To become a well-being agent of change inside your organization, you have to become a role model. After all, you can’t take care of anything — a team of five or 50 employees, a project that will net your company $10,000 or $1 million — if you aren’t first taking care of yourself. Often we think that well-being is merely exercise or nutrition, but it’s so much more. Well-being is about an alignment of mind and body, and that requires more than an hour at the gym. What most people don’t realize about well-being is that success is in the working toward it, not the arriving at it; we never arrive at a state of perfect wellness. I’m in the camp of setting clear goals that are achievable for each of us as individuals. If you are a full-time working parent with a side-hustle, it’s likely you’ll have a difficult time going to the gym for two hours, five times per week. So you set a different goal, one that sets you up for better long-term success. And when you achieve that goal, when you sustain that level of activity and effort, share the impacts of that hard-work with others in your company in a way that invites participation and judgment-free conversation. The more they see what it can do for you, the more they’ll imagine what it can do for them. Start a walking or running group that meets once per week. Start each team meeting off by encouraging the group to set a positive intention for the time together. Ask if the bowl at the front desk can include something like apples instead of mints or candy. Draw a map that outlines walking routes around work with the steps and mileage associated with each, and then share it far and wide. Start a petition to make healthy food cheaper and unhealthy food more expensive in the cafeteria. Ask for a portable standing work-station that will fit on any desk, and provide a few for your team. Inquire about painting the stairwells a fun color and decorate the walls with quotes or selfie-appropriate hashtags. What a way to encourage people to take the stairs! “The people who are crazy enough to think they can change the world are the ones who do.” Steve Jobs was likely not referencing workplace well-being when he said those words, but the sentiment rings true. In order to make the world a healthier place, we have to look to our workplaces and the crazy people within them who are willing to be the change agents this world needs.